Love smoothies, but hate the hassle of making them every morning? You’ll love these easy smoothie freezer packs. Make enough smoothies for the whole week and have them all prepped and ready whenever you want a tasty and healthy smoothie. With smoothie freezer packs you’ll enjoy the convenience of store-bought smoothies with fresh, whole ingredients you select. Smoothies are perfect to enjoy in the mornings but I’ve also found them to be a perfect addition to healthy lunches. My kids love a good fruity smoothie and they never notice when I add veggies to their smoothies too. It’s a great way to get some added veggies and nutrition into your child’s diet. Not sure how to get a smoothie to last until lunchtime? I’ll walk you through how to pack a smoothie in a lunch box here. I love smoothies, especially green smoothies. You get all the nutrients and benefits of the greens (spinach or kale, for example) along with the taste of your favorite fruits. This is also the perfect way to get your picky eater to drink up some greens. When my daughter helps me put together the smoothie packs, she’s always much more willing to try the smoothies. While I love smoothies and love to have one every morning, I don’t always have the time to put together a fresh smoothie on the spot. By preparing my smoothie packs ahead of time, we can have healthy smoothies ready and at our disposal whenever we need them. Check out this video to see exactly how I prepare my DIY Smoothie Freezer Packs! Once a week, I like to make a few smoothie freezer packs so that we have ready-made smoothies for the rest of the week. You put everything you would want in your smoothie, excluding the liquid base, which you add when you are going to make the smoothie. Smoothies are a great option if you are doing a Whole30 alone or with your family. Having done a variety of 30 and 21-day programs on my own, I decided I wanted to be able to get my whole family involved. But we all know kids aren’t going to be excited about eating eggs and beans for breakfast every day (or any day) so I got creative. I finally perfected my own 30 day whole eating program that is comprehensive, kid-approved and easy to implement. Since I’m working full time and homeschooling my three kids, I knew it had to be not just something the kids would eat but also something I could actually do at the end of a work day. My Family KickStart program will give you 30 days of healthy breakfasts, lunches, dinners, snacks (and even a few treats mixed in). Each recipe is made with whole, fresh ingredients, and absolutely kid-approved. It is like you are doing a Whole30, but the whole family will want to be on board. See more information and even get a sample of the meals in the Family KickStart program here to try it out with your family. Freezing the spinach or other greens has no effect on the taste of the smoothie, or on its nutritional value. Now you can make your favorite smoothie recipe and make it into a freezer-ready pack. 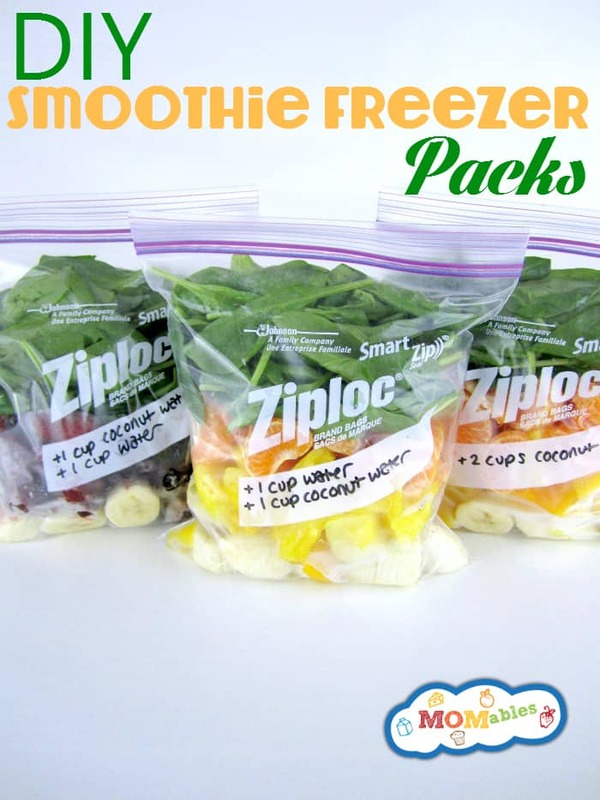 When it comes time to make your smoothie, you can easily take one smoothie freezer pack out of your freezer. Blend all the ingredients, in addition to your liquid base, until smooth. You can either blend your smoothie frozen, or you can defrost the pack in the fridge the night before you make it. 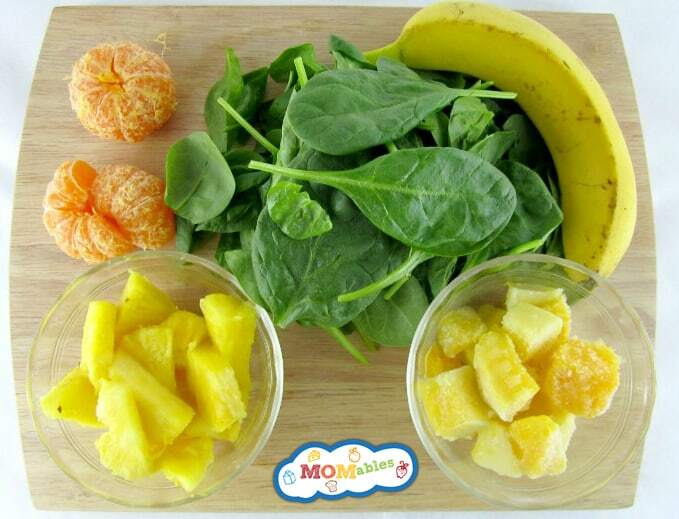 Today I’m sharing one of my favorite recipes with pineapple, mango, clementines, and spinach. Many times, I will take my overripe fruits and stick them into the freezer so that they can be added into a smoothie later on. Since my family loves smoothies so much, I’ve made a lot of fruit and vegetable smoothies over the years. You an use any of these smoothie recipes and make them into your own smoothie freezer pack. When it comes time to blend your smoothie, I like to blend my greens (I usually use spinach, kale, or a mixture of both) with my liquid base first. I then add the rest of the fruit and blend until smooth. If you have a high-powered blender, you might not have to add that extra step. For my liquid base, I like to use 1 cup of coconut water and 1 cup of water. I always label my freezer packs with how much liquid I need to add, as a reminder in case I’m not the one making the smoothie. What kind of freezer smoothie pack will you make first? In a blender, combine the spinach and the liquid, and blend until the spinach is completely broken down. Add the fruit in batches, and blend until completely smooth. This will vary by the ingredients you place in the bag. These packs sound perfect! Thanks for sharing. Can all fruits be frozen? For example cantaloupe and other melons. What could I use instead of coconut water (allergy). Yes all fruits can be frozen! You don’t have to use coconut water – you can use water, fruit juice, or your choice of milk. Any liquid will work! Where do you get those mason jars with the straw through the top? I have a Nutri-Bullet and would like to use this, along with my walker, to reduce my weight. I have recently retired (as a University Instructor). I think the frozen packs (made weekly) is an excellent idea…I have attempted multiple times to use the Nutri-Bullet but both the purchasing of the ingredients and the morning mixing became a hassle. I wish to have a clarification on one point. I plan on using greens like spinach, kayle, collard greens, etc. How much is too much? Will greens every day be bad on my kidneys, liver, etc? I will be mixing them with baby carrot sticks, apples, lemons, pineapple, bananas, and assorted other fruits. Should I “back off” the greens a day or two or is it ok to include on a daily basis. You should consult your physician if you have any health issues digesting raw vegetables. Smoothies help most of us get more fruits and vegetables in our diet, something that can be difficult for the average person. I think a single smoothie that fits in your nutribullet is not “too much” for one day. Enjoy. How do you keep the smoothies from turning dark after blending? I made a peach banana smoothie with a milk base and it turned a horrible shade of brown. it depends on the fruit. Bananas will brown for sure. using orange juice or an orange in a smoothie will minimize. I found smoothie packs in my freezer from a year ago. It looks ok. Do you think it’s still ok to eat? The only downside is frost (given you only have fruits/veggies in them). I am quite sure the smoothies will still turn out ok.
Never thought about premade bags with all ingredients together. This is great idea! Thank you for sharing. It’s not recommended to consume large quantities of some raw vegetables, including spinach. That could be the reason why it’s recommended to cook it before freezing. It’s an extra step I’m willing to take to protect my thyroid and kidneys ;) Thank you so much for the great ideas!!!!! Everyone breaks down foods differently. If you are dealing with an autoimmune disease, you definitely want to lightly cook green leafy vegetables. These freezer packs can also be made with frozen spinach, which tends to be blanched. the concept is to create fresh smoothie packs within reach to encourage vegetable consumption. Thanks, this is great news. A few years ago, I read that spinach (or other greens) should never be frozen. After googling, I read the same thing on a few more sites, so I never froze it, and never looked further into it after that. When I first started drinking green smoothies, I made them twice/day, which slipped to once/day, and the last year or 2, maybe a couple times a week. As quick as it is to put a smoothie together, it can be an expensive hassle making small amounts at a time (have an old Nutribullet), by having to have fresh ingredients in the house all the time (I live north in Alberta, Canada, so ‘fresh’ isn’t an affordable option year round). I’m saving up for a Vitamix, but until then, it’s nice to know I can freeze my greens (love the ice cube tray idea), and get back on the smoothie train. Someone was asking about blanching spinach first – I’ve seen a few websites on that as well. It seems if you’re prone to kidney stones, blanching spinach first would be recommended to reduce it’s oxalates, but by doing so (blanching), you’re eliminating (or significantly reducing) the nutritional benefits of the spinach. I’m actually JUST in the process of learning more about this (have about 20 open tabs regarding oxalates at this very moment LOL). I’d recommend that if you have a family history of kidney stones, you might want to do some Googling first (&/or talking to your doctor) :-). I’m not sure why they said to not freeze spinach besides the obvious idea that it is no longer good for salad. I am glad you’ll be able to freeze it and make healthy smoothies more often! You are right about the oxalates – and just so you know, the amount of nutrients lost in blanching are minimal. Plus you can use that water for other things (like cook rice). Despite what you say about freezing raw greens, I would insist on blanching or steaming them first. Your concern is that nutrients would be lost. The water used for steaming would have some of the nutrients leached into it despite the short cooking time. This could be frozen as well, maybe as ice blocks, and added to the prepared smoothie bag mix and coconut water when making the smoothie. That way no nutrients are lost and health is maintained. I bought my smoothie maker from Walmart for $19.99. Not even on sale. That’s the regular price. I’ve been using it for about a year now and it works great. I make smoothies all of the time with it. I do this very similar thing, have all of my fruits and spinach cut up and in a quart size/freezer bag. I add three different seeds (chia, flax and hemp/already mixed together in a Tupperware in my fridge/I add about a tablespoon), some Greek yogurt for protein, skim milk or water to mine the morning I make it. It’s easy because each bag is the perfect amount for one smoothie. I love prepping for smoothie ahead of time! That all sounds delicious. I’m glad you love smoothies as much as we do! Why not just freeze baggies of pre-made smoothies, instead of the cut up veggies? Would that also work or not? You could definitely do that! We just prefer to blend up the smoothies fresh. Hi, I actually blend up a bunch and then put into containers that are ready to drink out of and then freeze those. I pull them out to take for lunch at work. When I pack lunch I take it out of the freezer, it also acts like my ice box! It is dethawed by lunch and tastes great! Just another idea! I just wanted to thank everyone for all of these great ideas! I kept having to toss old fruit because I wasn’t aware of how to freeze everything correctly and didn’t have the time each morning to make my smoothie. 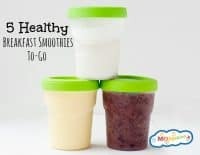 I now have some ready to go bags in my freezer and can’t wait to get back on the “smoothie train” to lose some weight and start feeling better each and every day!! A quick tip for spinach! I use a Vitamix and it will pulverize Anything! Lol but to save on ice or if your spinach is getting ready to go bad you can throw it all in the blender till it’s all liquid. Pour the liquid in ice trays and freeze. I empty the “spinach” cubes in a heavy freezer bag, freeze and throw them in my smoothies in as I go/need. It also allows me to use smaller bags for my other items when making freezer packs. Only other suggestion may want to have a spare set of ice trays the spinach can sometimes die them depending on the color of the tray! Smoothies are my go-to after the gym, and I add tofu for extra protien. Can I add that in to the freezer packs? Is it ok to freeze apples, oranges and bananas in one smoothie pack? Or is it not ok to freeze these fruits? for smoothies absolutely. some fruits do not reconstruct well to eat them again fresh…. but for smoothies not a problem. Hello, what a great idea! but i want to know how long the freezer packs will last before they go off or soggy? they should last 30-60 days in your freezer. Why do you use frozen fruit in the recipe when it’s all going to be frozen anyways? I buy a lot of my fruit out of season already frozen. It’s much cheaper. Of course, you can use fresh when available. So glad you found this post so your great purchase wont’ go to waste! I’m surprised you can’t eat that much spinach… raw, ok. But if you cook it, it shrinks tremendously. I use it in soups, cheese & spinach omeletes (though I tend to add mushrooms and Dill too). I also like to use it in a wok style vegetable dish (though I don’t use a wok, just a frying pan, YMMV). I toss a bunch of veggies in and some butter, and go through a pound of spinach like it’s my last meal. Give it a try. I love this idea….can you tell me what kind of coconut water you are using? I’ve had a hard time finding one that doesn’t taste weird lol. For drinking, I like SoBe. Thanks! Can you freeze the avocado? Barbara, Yes you can freeze the avocado! In the summer when fruit is cheaper or free from your garden (raspberries, strawberries) etc. I freeze them in a big square margarine container. As bananas get over ripe I cut them up & add to the container. I’ve chopped up spinach & thrown it in too. Part way through freezing I give it a good shake so it doesn’t freeze in a clump. I just scoop out a cup full or so at a time. If yogurt gets close to the expiry date I freeze it in ice cube trays then throw in a freezer bag/container to add to smoothies later. I also grind oatmeal in my bullet to a fine powder & mix with ground flax & chia seeds & add a scoop of that. How can I get the same consistency in a smoothy without bananas? I am allergic to them. you’ll need another piece of frozen fruit like pineapples or mango to thicken it up. Half an avocado makes it nice and creamy! Yes! I do this all the time! Avocado is an excellent thickener and super healthy too!!! I add Chia seeds, they are great to thicken fruit shakes and good for you too! If you have a powerful blender, add cashews or almonds to help with the creaminess. I’ve started making smoothie bags for my son who is not a great fan of breakfast. If I add a handful of cashews and a handful of oats, I know it will be filling enough for the ravenous teen to comfortably get to lunchtime. Any idea on the calories of this smoothie? Lisa, you can plug in the smoothie ingredients into a calorie counting website and divide it into the servings you will more likely divide it in. GREAT idea. Do you have a smoothie recipe for D I A B E T I C S ??? My glucose sugar SHOT UP when I first started making smoothies… Fruit is SWEET. Valarie, I suggest smoothies with veggies. they are lower in sugar. Add kale and celery. It is delicious. I add some grapes in as my fruit. Adds just the right amount of sweetness without having 3 different fruits. I have diabetes. I find that if I mix about a cup or half a cup of spinach, half a banana, one half cup cranberries, blueberries, and rasberries or strawberries mixed with real juice cranberry pomegranite half a cup my sugar goes down in the morning from 8.0 to 6 by lunchtime, because these are refined sugar fruits, and real, not canned, which work better on the pancreas! Marlene that is wonderful! 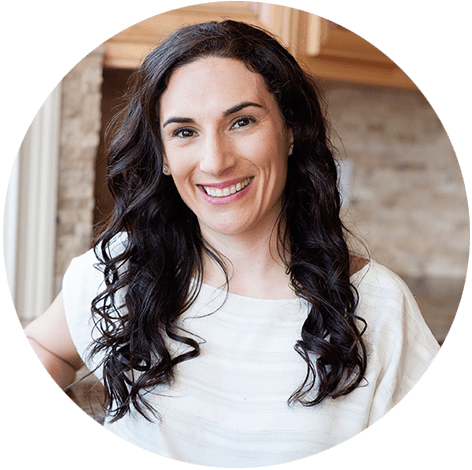 I had gestational diabetes and tried to stay away from too much fruit because I was worried about the carb counts!- but that is really really good to know! Avoid most fruits…berries are better! We suggest to our community that they eat a varied diet. What they need to avoid is refined sugars. great idea; regarding freezing bananas, yes, you can freeze them, and it is advisable to freeze them in the peel. When you’re ready to use them, just run warm or hot water over them, and the peel comes off very easily; the banana will be the normal color. This is the better way to do it also because you can retain some of the inside of the peel in there, which has good nutritional value as well. I’m a huge smoothie fan and this is really great idea! Another way to add ‘green’ to your smoothies! Jo Anna, we aren’t promoting a zip bag on this post. and yes, we also reuse the bags. I don’t recommend freezing in mason jars but use what you typically freeze things in. I like to use the frozen fruit it depends on the day what kind of fruit and what kind of liquids I use…almond milk, coconut milk, regular milk, orange juice. I usually also add yogurt. Angi, that is true! My favorite liquids are to use coconut water and water (and sometimes green tea). And I end up using whatever leftover fruits I have in our freezer. But that is why I love smoothies. You can really add whatever you want based on your preferences/allergies! I love this frozen bag of blender goodies idea, I’ll have to try it! I made a delicious smoothie yesterday that I thought I would share! This was absolutely delicious! It was very filling as well. I use the single serve blender cups with my Ninja blender and I was only able to drink half of the single serve cup, it was so filling and kept me full til lunch time! Was just wondering what a good substitute for the bananas would be? Mangos are one of the highest sugar content fruits there are..use them sparingly please!!! This sounds odd but use a package of instant oatmeal…thickens and adds protein..not added sugars! thank you for your suggestion. The point of this post is to show people that they can make their own smoothie packs with anything they choose. Hailey, you can subscribe to our weekly newsletter and get all of our recipes weekly. On the menu bar above click on “free ideas”. we have more smoothies coming out soon! How much spinach and fruit do you use? Is this for one smoothie or multiple? Tiffany, One smoothie pack yields 2 to 3 smoothies, depending on how much you pour. For spinach, use about one heaping cup and for fruit you can choose what you like. Above I used 1 cup of pineapple, 1 cup of mango , two clementines and a banana in one of the recipes. read something about cooking it for 2 minutes and then freeze it?! Heleen, all you have to do is rinse and freeze. But don’t you need to blanche it? No. That is how they pack those spinach blocks at the grocery. For smoothies you want it just like this (same thing as putting them whole in the blender). It won’t hurt to blanch it but I don’t see the point of cooking it first. Thnx for your answer, great, this will make the progress so much easier! Could I get a list of fruits you used in the 3 bags in the picture? Jenna, the two bags on the right are what we list in the post. The bag on the left has cherries and mixed berries (approx one cup of each) instead of mango, pineapple and clementines. I usually use whatever I have on hand in my freezer that I think will make a good combination. Thanks for the great tips! I have a smoothie every morning so to limit the time in the am, I prep the ingredients the night before. This will alleviate the need! Question though: can u freeze avocado? I usually put half an avocado in my smoothies for extra creaminess! Yes, you can freeze avocados. Mash them a bit and put into ice cube trays. Once frozen, remove them from the trays and put into zippered bags to store in the freezer. Word to the wise: if I’m freezing items that are wet (like pineapple or mango) I freeze them in a smaller snack size bag so they don’t create one big huge frozen block. I am interested in trying this recipe. Thank you for it. I’m usually a blueberry, strawberry, mango, banana, kind of girl! If you freeze them on a cookie sheet before putting them in a freezer bag, you won’t have this problem. I freeze bananas in the peel all the time. Take them out if the freezer & immediately peel with a knife & pop into the blender with other smoothie ingredients. They may be a bit darker than fresh but the taste isn’t altered & the frozen banana gives a really frosty, creamy texture to the smoothie. Don’t bananas turn black in the freezer? I think there’s a reason why you can’t get frozen bananas in the store… Maybe keep fresh bananas (which I always do) and just add to the smoothie mix at that time. they do if stored long. however, they are blended and you wouldn’t see it. The grocery store where I live started selling frozen over ripe bananas, cheaper then fresh ones. For people who want to make muffins etc. that is so great! i wish mine sold them! If you make the whole smoothie pack and don’t drink it all how would you recommend keeping it? Could I use OJ instead of coconut water? I wish I liked it, really, but it’s just… gross. :) So is juice an OK substitute? OJ is essentially pure sugar, so just be mindful of how much sugar you’re consuming. If you’re using mostly fruit in your smoothies and then adding OJ, you’re probably consuming more sugar than a few cans of soda. Add some protein or fat to slow down how quickly your body absorbs that sugar so you don’t get the dangerous blood sugar spikes. thanks for your suggestions Brad. Milk, almond milk, coconut milk are also typically the liquid of choice. Or just plain water is ok. You will have the great taste of your fruit and veggies. Yes, to avoid extra sugar, I just add water to my smoothies. Tastes great as I have plenty of natural fruit juices in it already. Wow, what a great idea. Much cheaper than buying the already made dole smoothie bags! Thanks Amanda! That is exactly why we love to make them! It doesn’t take that long and is much cheaper than buying already made packs! I make a smoothie based on one of my favorite baby foods that I make. I use the bullet, so it only makes 1serving. Place all ingredients into Bullet cup and add enough coconut water to cover everything. Twist on the blade and blend. great idea Jacki! sounds delicious. This is so brilliant! As a relatively new smoothie-aholic, this is really going to make it even faster and easier! Thanks for the great post Michelle! What a brilliant idea! I didn’t realise you could freeze spinach. I’ve made a few smoothies the day before & frozen them already blended. Take them from the freezer in the morning & by lunchtime (in the fridge at work) they’re a lovely semi-frozen consistency. Would I be better off blending in the morning nutritionally speaking? Hi Jackie! As long as they are frozen, nutritionally speaking it wouldn’t make a difference! I had been wondering if I could throw spinach in the freezer! thanks for this great idea! when you take the bag from the freezer – do you make the smoothy with the ingredients frozen – or wait to defrost?